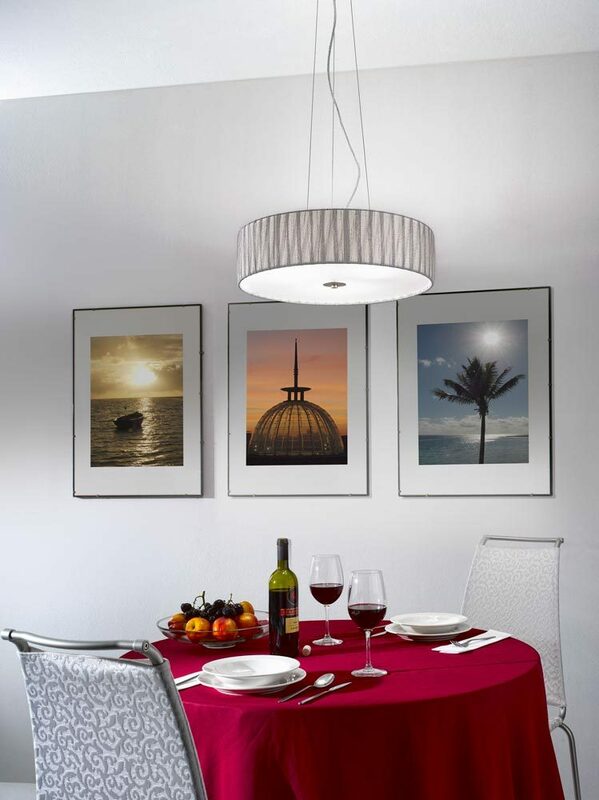 This Franklite Lucera 5 light silver fabric pendant ceiling light is contemporary, stylish and elegant. 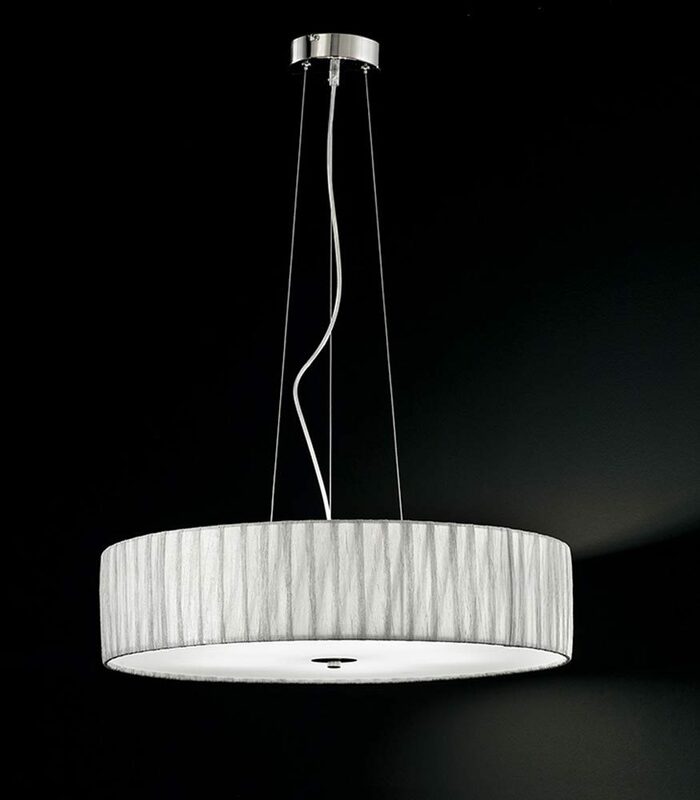 Featuring satin nickel finish ceiling mount and multi-wire suspension supporting a 60cm drum shade, with textured silver fabric outer rim and frosted glass lower diffuser that hides the lamps and softens the light beautifully. Perfect for use with LED or low energy spiral lamps and ideal lighting for over a dining table, in a bedroom, living room or stylish kitchen. Height adjustable at the time of installation only by shortening the wires to achieve the perfect drop, please see technical information below for dimensions. Part of the Lucera lighting collection that includes a coordinating smaller ceiling pendant, flush mount ceiling lights and a wall light, please scroll down this page to view. 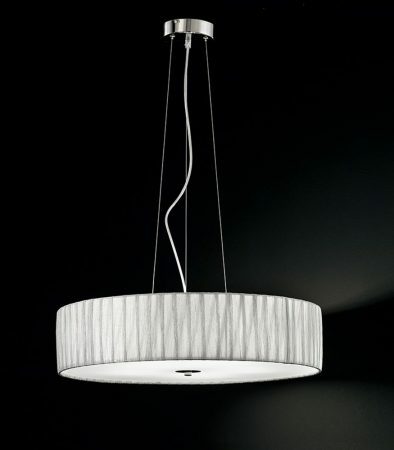 This ceiling light is supplied by Franklite Lighting who have been one of the pioneers in the design, manufacture and distribution of high quality lighting such as the Lucera 5 light textured silver fabric pendant ceiling light you see here.